Bills head coach Rex Ryan was once again out-coached by Bill Belichick on Sunday and he knows it. "They outplayed us, they outcoached us, they outdid whatever," Ryan admitted in his Monday press conference. But as far as toning down the rhetoric (he and his players did a week's worth of trash talking prior to laying an egg on Sunday) or reigning in the emotion (they were flagged for an astounding 15 penalties) . . . hah! "There's different ways of chatting and of all that type of stuff, too. Face it, New England's not exactly the Boy Scouts of America. All right? So, you can say what you want, but the tape doesn't lie, either. "I'm not going to put a muzzle on our players. If they want to say something, they have all the freedom in the world to say it, just like I'm going to. We're not going to say, 'Well, that's why we lost the game.' It had nothing to do with why we lost the game." 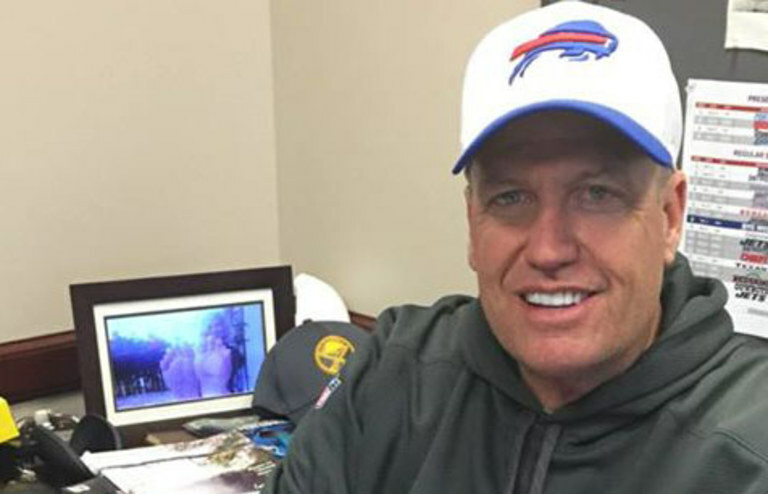 Even in defeat, Rex is still going to tell his players to not shut up. It's barely ever worked in the past. He'll probably never learn.